DIY Daddy’s Brilliant Dad Feature – Week 115 is Me! If you are reading this and you haven’t heard of Nigel Higgins then one of two things is true. Either Google is broken or we are friends and you are reading my blog out of misplaced loyalty or I’ve finally badgered you into submission. 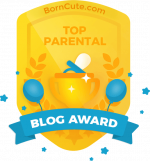 Author DaddyPosted on June 22, 2017 June 23, 2017 Categories InterviewsTags Brilliant Dad1 Comment on DIY Daddy’s Brilliant Dad Feature – Week 115 is Me!